When I make art, I usually don’t plan much. I pick out colors that call to me, then get to work with no real sketching or idea of how it will turn out. 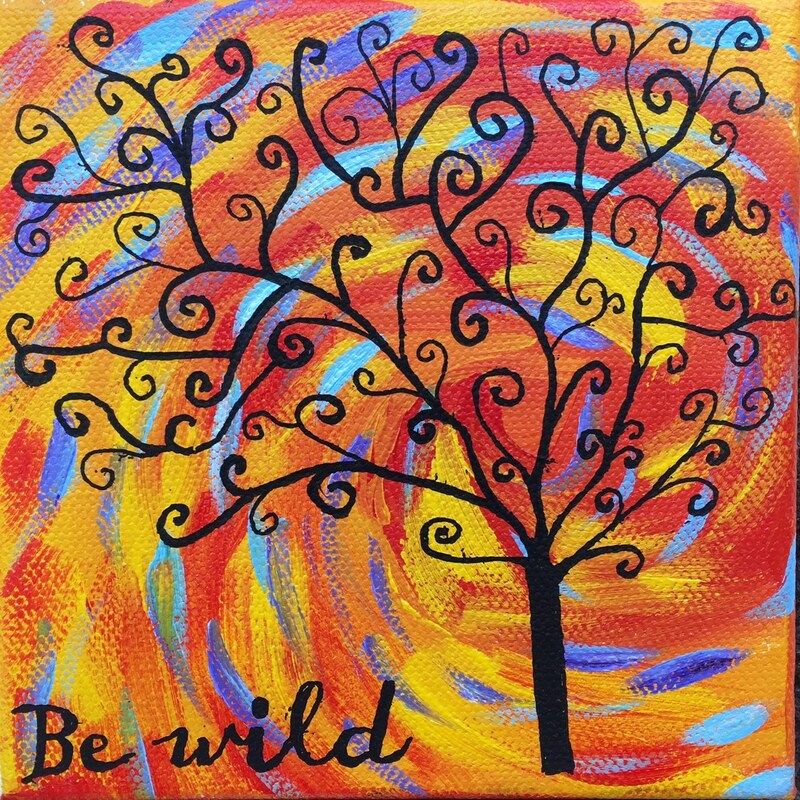 Once I completed the swirling background on this piece, the words “be wild” came to me, and the tree just flowed through me. When I’m painting the world drops away. If I’ve been sad or anxious or ruminating about something, it disappears when I paint. I’m so in the moment that time seems to stop, yet when I look up, I can’t believe how late it is. I wouldn’t say painting makes me happy, exactly, not in the smiling, bubbly kind of way, but it makes me still and present and I feel deeply, deeply content. It’s an anchor for me, a beacon, the thing I know I can go to when I’m feeling out of sorts. I hope when people see my work, they can feel some of that peace as well.